Educational Psychology, 3rd Australian Edition (O’Donnell et al.) helps pre-service teachers to develop a practical framework to implement teaching strategies that promote students’ learning, development and potential. This is achieved through jargon-free language, extensive lesson plan analysis and engaging, in-situ media. Available as a full-colour printed textbook with an interactive eBook code, this text enables every student to master concepts and succeed in assessment, and supports lecturers with an extensive and easy-to-use teaching and learning package. 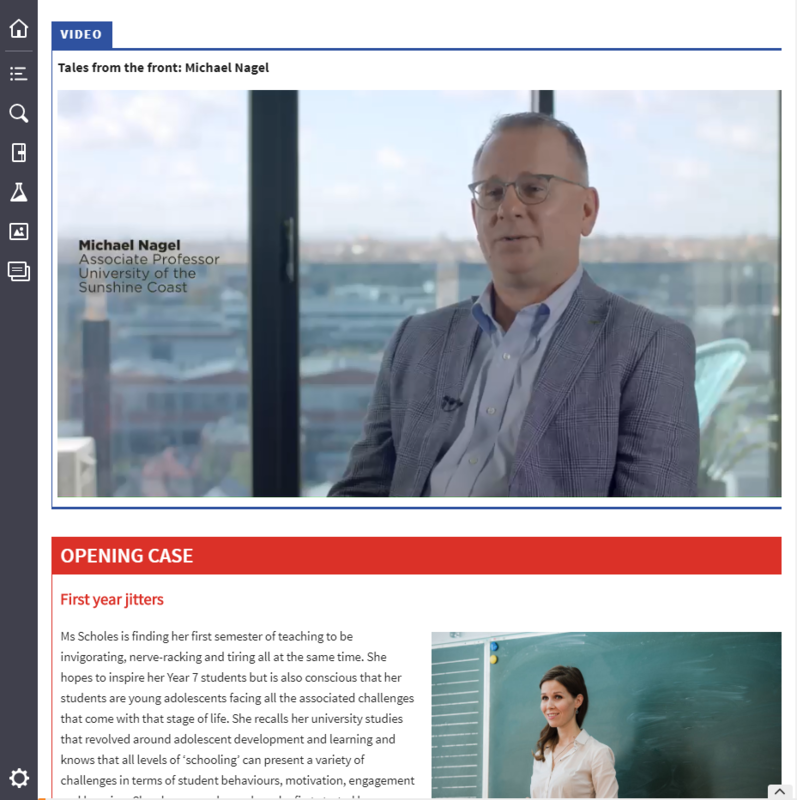 Lesson plans provide preservice teachers with real examples of what to do when they get into the classroom, while insights from experienced teachers like Dr Michael Nagel give a real-world perspective for students. 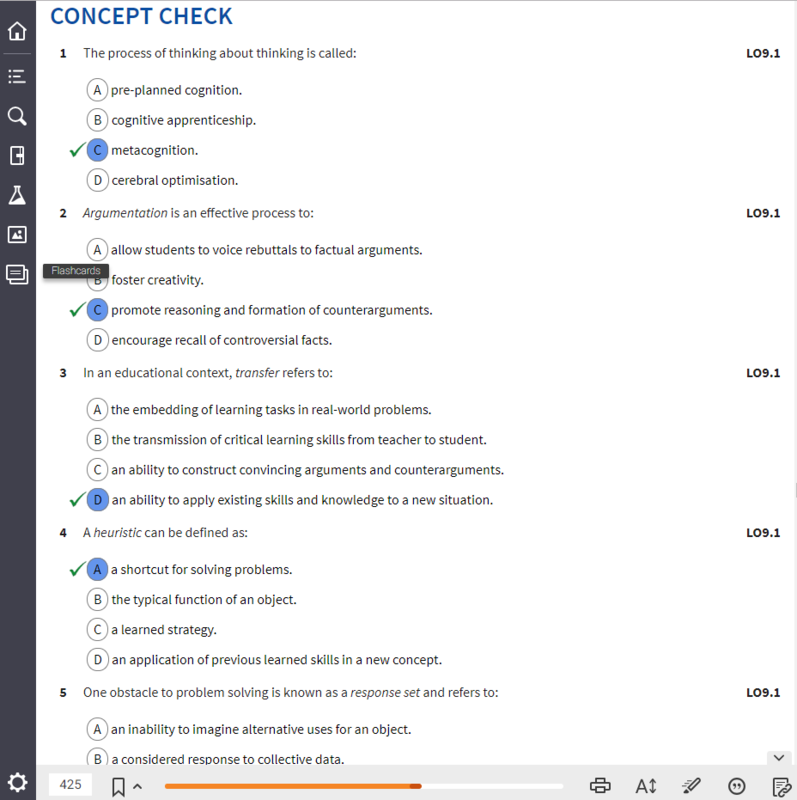 We have videos to engage students, in-situ self-check questions as well as gamified quizzing via their mobile phones, plus, we’ve strengthened our content around ability and disability, digital learning and language. 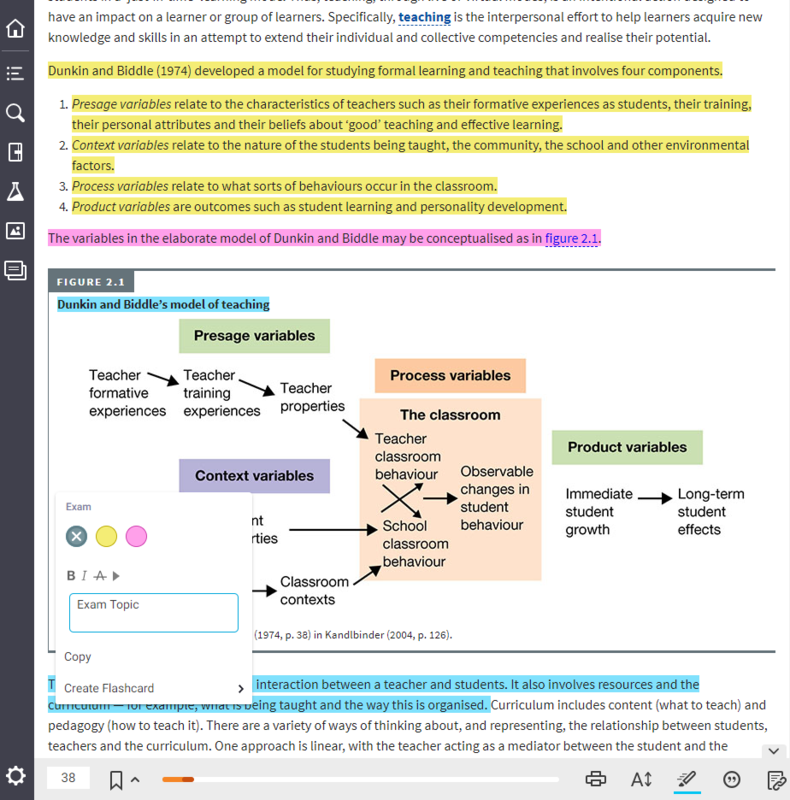 Available as a print + interactive eBook that provides feedback at the point of learning, plus, students keep the text well into their academic and professional careers as a reference and as an interactive digital version. Associate Professor Eva Dobozy is an established national and international education researcher with numerous grants, publications and conference presentations, including keynote addresses. In her role as Director, Quality Assurance, in the Faculty of Business and Law, at Curtin University in Perth, Eva is responsible for the learning and teaching quality assurance and improvement processes, which includes course quality, face-to-face, blended and online delivery, assessments, teaching staff professional development and transnational education. With more than 30 years’ experience in education, first as an early childhood/primary teacher and then as a university lecturer, education researcher, deputy dean, learning and teaching, and now director, quality assurance, Eva is providing leadership in course renewal and helping to drive innovation in learning and teaching, ensuring the production of contemporary high-quality and flexible education across disciplinary boundaries, study modes and locations. Her interests and research work are concerned with the issue of effective pedagogical modelling in face-to-face, blended and online learning environments through the design of learning-centric and highly interactive curricula. Her research spans the intersection between learning theory, learning design, technology-enhanced learning and teacher professional development. As a pioneer of the Learning Design educational research field, Eva’s research focuses on the enhancement effect of emerging and established learning technologies and the regeneration and reusability of modularised pedagogical artefacts through the design and implementation of transdisciplinary pedagogical templates. Professor Brendan Bartlett is Chair Professor of Education at the Australian Catholic University. He is a Gellibrand Scholar, UNICEF Fellow, King Mongkut Medallist, award holder of the Rotary International Certificate for Significant Achievement in Education and on the Australian Learning and Teaching Council for services to education. Brendan’s most recent ARC-supported research reported on success in retrieval of youth whose early attempts to transition from school to work, training or higher education had failed, and avoidance issues in children’s literacy development. He led the 2015 research of Queensland’s alternative education programs and a 2017 study of the impact of schools’ improvement plans for Indigenous students. For years he has sought through research in order to develop his understanding of language and thought and of how people identify the ‘big’ ideas in texts they encounter or create — and how they communicate, remember and make sense of such ideas. There have been significant developments in education and industry in what Brendan has found thus far, with a metalinguistic skill he named and theorised as ‘top-level structuring’. Dr Michael C Nagel is an Associate Professor within the School of Education at the University of the Sunshine Coast where he researches and teaches in the areas of human development and learning. A prolific author, he has written many journal articles and thirteen books related to child development with a particular interest in the developing paediatric brain, behaviour and learning. Along with being a contributor to a number of textbooks used in undergraduate and postgraduate education courses throughout Australia, Dr Nagel has also been nominated as ‘Australian Lecturer of the Year’ each year since 2010. Dr Nagel is a member of the prestigious International Neuropsychological Society, the Queensland Director of the Australian Council on Children and the Media, and is a feature writer for the Jigsaw and Child series of magazines, which collectively offers parenting and educational advice to more than one million Australian readers. When he is not busy professionally, he spends his time learning the important lessons of adolescence and life from his own children, Madeline and Harrison. Dr Simone Smala is a Lecturer in Teacher Education at the University of Queensland (UQ). With a background in both primary and secondary teaching, Simone combines her practical experience in Australian schools with a thorough knowledge of both the sociology and educational psychology of teaching and learning in schools. An author of journal articles and book chapters, and an upcoming book on bilingual education, she has designed a number of courses in undergraduate and postgraduate teacher education programs, and coordinates and supervises courses on curriculum, pedagogy and assessment, educational psychology, and technology in education. Simone is a specialist in Content and Language Integrated Learning (CLIL) pedagogies and methodologies, and applies theories of metacognition, self-regulated and autonomous learning, and dialogic learning to her research in multilingual classrooms. Her special interest lies in social media which she uses prolifically to research and engage with teaching communities in Australia and worldwide. Her Facebook page CLIL Support Dr Simone Smala UQ is engaging over 1400 teachers in Australia and beyond in latest research in language education and learning theories in general. Simone received a commendation for a UQ Faculty of Humanities and Social Sciences Award for Teaching Excellence in 2015, and is part of the CLIL Research Network of the International Association of Applied Linguistics and the Bolzano Partnership (with researchers from the UK and Australia) that researches bilingual education and CLIL programs in Anglophone countries. Dr Catherine Wormald began her career as a secondary mathematics teacher and has taught extensively in various roles in secondary schools across all education systems. She coordinates and teaches units in gifted and special needs education at both the undergraduate and postgraduate level at the University of Wollongong. Catherine has an understanding of both the teaching and parenting aspects of education. Catherine worked for the Selective Schools Unit for a number of years and was a consultant in gifted education for the NSW Department of Education and Training (DET). She played an integral part in the writing of the current DET Gifted and Talented Policy and has provided advice and professional learning to teachers and academic personnel. Catherine worked with the ACT Department of Education on the development and implementation of a revised gifted education policy. She regularly presents at international, national and state conferences and has a number of publications which include journal articles, book chapters and an edited book. Catherine’s research focus is on students who are twice exceptional, students with special needs, inclusivity, gifted education, underachievement and differentiation of curriculum and assessment. Gregory Yates has had 40 years of experience teaching educational psychology topics within Australian universities and currently serves as an Adjunct Senior Lecturer at the University of South Australia. His published research has a basis in cognitive psychology and social learning theory, and has been concerned with a number of areas, including social modelling, moral development, motivational goals, effective teaching strategies, expertise factors, and ego depletion effects. He co-authored the textbook, in association with Dr John Hattie, entitled Visible learning and the science of how we learn. 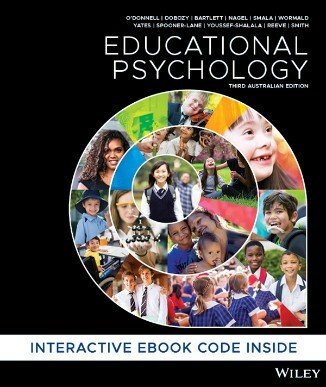 Students can purchase their Educational Psychology, 3rd Australian Edition (O’Donnell et al.) textbook from Wiley Direct.